I recently had the privilege of listening to Clint Hurdle deliver a keynote address at our 2018 Sales Kickoff (SKO) in Pittsburgh, PA. During this motivational speech, Clint took us through his journey of becoming a better person in both his career and his life. I was really moved by his speech, and many of my team members told me it was the best guest keynote speaker that we’ve ever had. Based on this feedback—and in honor of today being National Employee Appreciation Day—I wanted to share my reflections on his talk and the leadership lessons I learned. So, here are my “Key Lessons from Clint” that will help you motivate your own team and become a better leader. 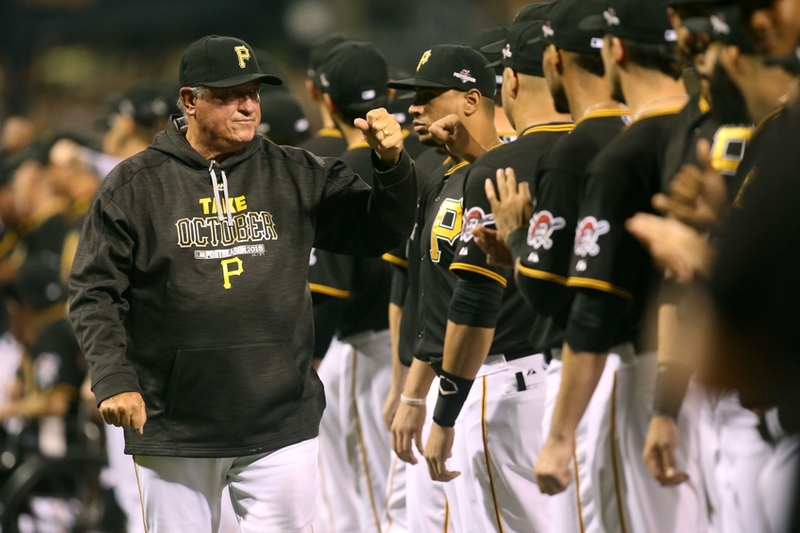 If you know of Clint Hurdle, you know him as the current manager of the Pittsburgh Pirates MLB team. He took over a franchise that had 20 consecutive losing seasons and brought winning back to Pittsburgh baseball, including three recent trips to the post season. If you don’t know Clint, he is a wonderful and honest man. However, he will be the first to say that he is a “flawed” man, and not so perfect. Can your employees trust you, and can you trust your employees? Having trust in bosses and senior leaders is a critical element of an employee’s work experience, which can lead to higher retention rates and increased productivity. Without a foundation of trust, it is difficult to get things done and especially hard to change the culture. 2. Do you care about me? Do you care about me as an employee? As a person? Do you really know my story? It should come as no surprise that employees want to be treated like human beings when they’re at work. Feeling recognized and appreciated is a basic human need. Your team needs to feel that you value them, the work that they do, and the contributions they make to the company. I learned from Clint that you can’t be too quick to judge. Everyone has a story, and as a leader you have to be open to learning that story to truly understand that member of the team. 3. Can you make me better? Will you look after my personal and professional wellbeing? Can I grow and learn from you? Can you forgive mistakes? One of the best pieces of advice from Clint is to “be where your feet are.” When you are with an employee, be present and make it their time. Put away the phone and give them your full attention. Listen to their needs and wants, and help them become better. For some employees, their happiness can often be overshadowed by a focus on bottom line gains. However, leaders who focus on employee happiness and wellbeing may actually see a direct correlation to profitability. Your employees are your bread and butter. They are responsible for the success or failure of your MSP business. Be consistent in appreciating their efforts and motivating them to reach higher and do better. If you can’t do it on your own, though, looks for people on your team that can step up to the plate. Clint spoke about people he asked to step up in the clubhouse and help lead the turnaround after 20 losing seasons. He spoke of guys like Andrew McCutchen—someone who held people accountable, picked up people and led from the front. He also spoke of guys like AJ Burnett—someone who never had to be in a leadership position before, but was willing to do what it took to make a winning ball club. I see this every day in our office. Different individual contributors will step up and do what is best for the team. This helps them feel validated in their work and efforts, and in the end, it helps the team win and the company grow. There’s importance in speaking the truth and providing direct feedback on both the good and the bad. For example, Clint uses a method called “two up, two down.” He’ll start his one-on-one meetings with his players and coaches by telling them two things they’re doing well, and two things they need to improve on. Then, he takes it a step further by letting them tell him the same—two things Clint is doing well and two things he needs to improve on. This is a great example of transparent leadership, which is key to fostering a culture of trust between leaders and their employees. Speaking the truth and being open with your team can help you solve problems faster and ensure that each employee is in the loop and understands their purpose. These are just a few of the leadership lessons I learned from Clint’s keynote. I hope they will help you see the value of leading with trust, motivation and transparency. In doing so, you will build a stronger team and stronger organization. Robert Kocis is Continuum's Chief Revenue Officer (CRO). He brings more than 20 years of experience in global sales leadership and business management. Prior to Joining Continuum, Bob served as Worldwide Sales and Customer Excellence at ANSYS for two years, providing leadership for the overall strategy and management of the global activities of the company’s sales and technical support units. Robert spent 16 years with PTC, Inc., a U.S. based software company specializing in 3D design software, product lifecycle management and service management solutions, in progressive sales leadership positions. He also served as Senior Divisional Vice President of Asia Pacific Sales and Distribution, where he oversaw PTC’s operations across Asia. Prior to that, Robert was responsible for creating and leading PTC’s SMB Channel Advantage Program. Robert has a bachelor’s degree in marine engineering systems from the United States Merchant Marine Academy. He is also a graduate of the General Dynamics Nuclear Engineering School.